Let me challenge you today to create a foundation for phenomenal results in the future. Whatever you did today, beat it tomorrow. Whatever your standard is at the moment, keep raising it. Whatever heights you’ve reached, keep looking up. Don’t get complacent and don’t peak too early. Keep pushing yourself to greater achievements. Because whatever got you here, won’t get you where you need to go. 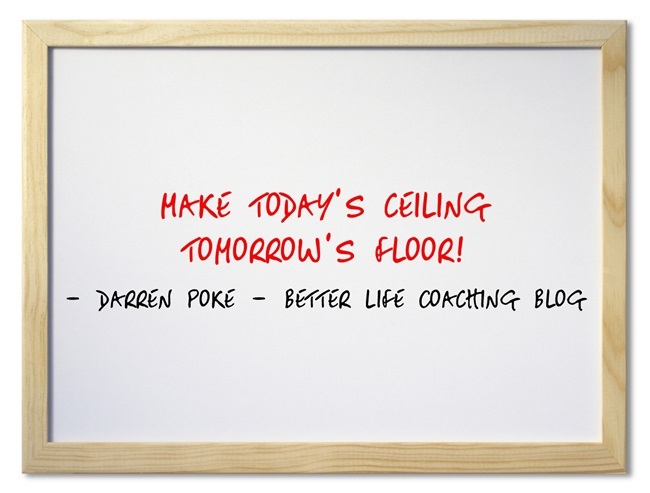 So make today’s ceiling tomorrow’s floor. Life is really stressful. But our success is what matters most.